Nick Jonas has arrived in Mumbai for his engagement to Priyanka Chopra tomorrow evening itself! The singer was spotted arriving at Chhatrapati Shivaji International airport in Mumbai on late Thursday evening with his mother Denise and father Kevin Jonas Sr. After confirming his engagement to Peecee, he is now here to meet his bride-to-be’s family, most importantly her mother Madhu and brother Siddharth. Dreamy right? Well, a whirlwind engagement would not be complete without a fairytale ring. It’s a customized Tiffany & Co. cushion cut diamond with tapered baguettes weighing around 4 carats. P.S it’s estimated to cost $200,000! While this is Denise and Kevin Sr.’s first time in India, this getaway marks their son’s second time. 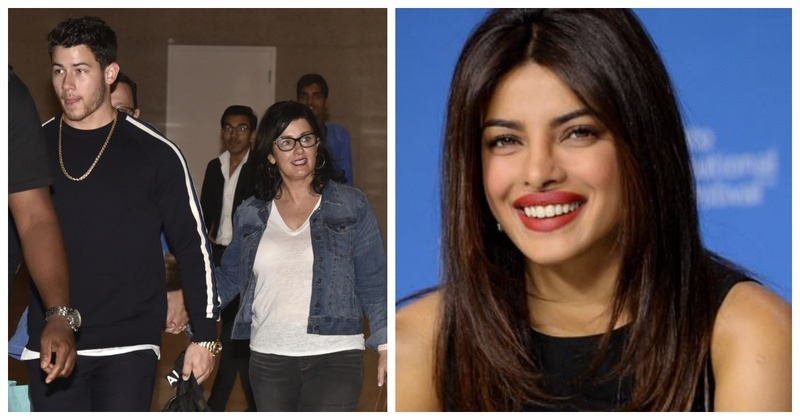 On June 22, this much-in-love couple traveled to India where they met all of Priyanka’s khandaan during their week-long getaway in the country. As for Priyanka, she has already won over the Jonas family after she met them at Nick’s cousin Rachel Tamburelli’s wedding in New Jersey!